As part of the partnership between the Global Triathlon Network (GTN) and TrainingPeaks, we’ll be bringing you twice-monthly episodes of the new “Triathlon Training Explained” show, where hosts and former pro triathletes Mark Threlfall and Heather Fell answer your triathlon training questions with the help of TrainingPeaks software, coaches and industry experts from around the world. When training on the bike, it can be hard to know just how hard to go in order to maximize your endurance and your power output at the same time. “Sweet spot” intervals, which are commonly referred to as intervals between 88 percent and 94 percent of your Functional Threshold Power are a great tool for increasing your FTP over time and dialing in your race day fitness. If you don’t train with a power meter, you can still do sweet spot interval training on the bike using your heart rate threshold and keeping your effort between 75 percent and 85 percent of your maximum heart rate. 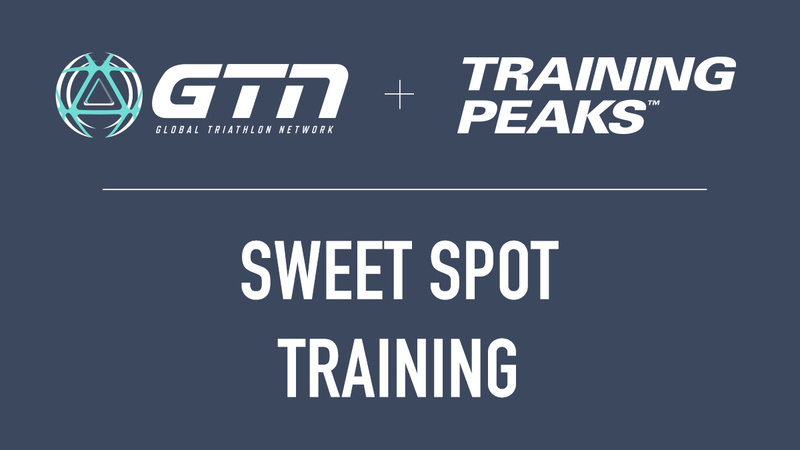 In the latest episode of GTN’s “Triathlon Training Explained,” host Mark Threlfall dives into why exactly sweet spot efforts are so effective, how often you should be doing them, as well as highlighting three solid sweet spot workouts to try on your own. Triathletes in the know like GTN’s Mark Threlfall and Heather Fell use TrainingPeaks to help plan, track and analyze their training. Dial-in your triathlon training with a free 14-day Premium Trial today! Susan Grant Legacki is the Content Director at TrainingPeaks. The founding editor of LAVA Magazine and a former editor at Triathlete Magazine and Inside Triathlon, Susan is an IRONMAN finisher, Boston Marathon qualifier, USAT Level 1 Triathlon Coach and certified Pilates instructor. When she's not editing or writing copy about endurance sports, you can usually find her training for them around Boulder, Colo.